The Suite 47 is designed by Luca Dini. 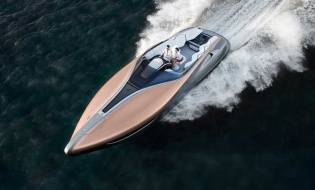 Her lines are developed from the family feeling typical of the Kifaru gamma but altered to make her a true powerboat. This result was obtained maintaining the lines of the hull with her recognizable Kifaru signature. 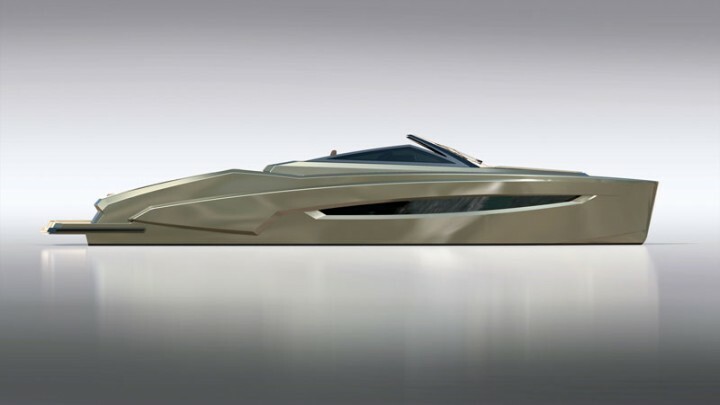 At the same time the superstructure was refashioned with a notable “push forward” that clearly refers to the lines of a classic motor yacht. 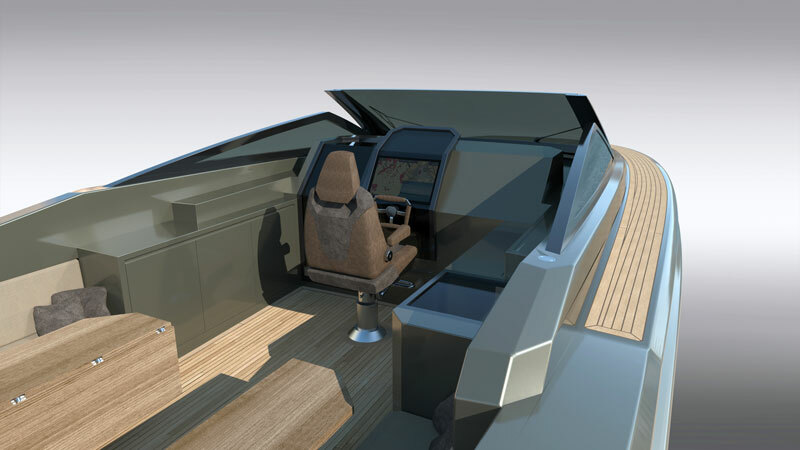 The lines of the Suite 47 are quite modern but presented with retro styling and featuring a flush foredeck. The placement of the pilothouse windows and her special layout lend a clearly classic interpretation with a sporting feel to this 14 meter that fully represents Kifaru's new production. The cockpit features a spacious sunbathing area aft, due settees to starboard and a folding table to port. Forward of the table we have the galley with a sink and refrigerator, with the helmsmen's station forward of the settees to starboard. The first unit will feature two cabins to satisfy the needs of a family, but a single cabin with galley and bathrooms is also offered. Both versions will have separate crew quarters. The furnishings of the first Suite 47 will be in a clearly modern style, but at the same time warm and inviting. 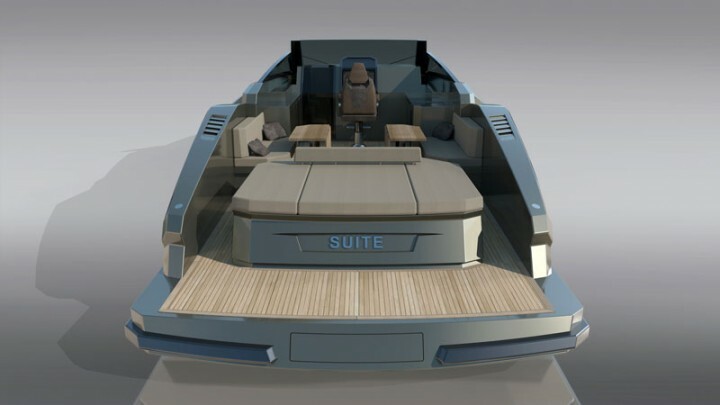 “The Suite 47 is a powerboat full of character, with special colors for the hull, while the interiors will be completely customizable.” stated Luca Dini, who nicely sums up the feel of this yacht comparing her to a waterborne Bentley GT.